SEAT's Leon FR 184 shows how far things have come; it is also the best SEAT money can buy right now. Good: sweet engine, good chassis, great looks. Not so good: interior a tad dull, thick A-pillars obscure vision, does not have cachet of some rivals. Back when SEAT first introduced the Leon hatchback in 1999 its range was topped by the 180hp Cupra model, a cut price Golf GTI that used the exact same powerplant as its more illustrious sibling. Fast forward 14 years and SEAT is now again offering a Leon with 184hp, but this is no Cupra; instead this is the 'warm hatch' FR spec car. And instead of a turbocharged 1.8-litre petrol engine it now packs a 2.0-litre diesel. How times have changed. We will soon be driving the all-new Cupra models, which offer up to 280hp, but until they arrive in Ireland this FR TDI 184 is the most powerful Leon you can buy. With its 184hp backed up by 380Nm of torque, resulting in a 0-100km/h dash of 7.5 seconds, it is more than a match for its forefather from the nineties. 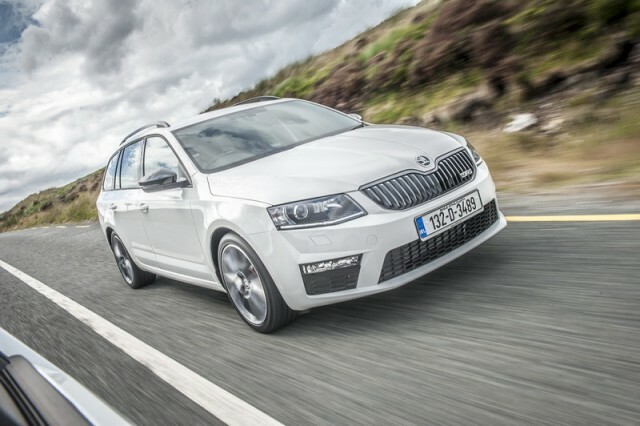 The 2.0-litre diesel unit is the same lump as found under the bonnets of the Volkswagen Golf GTD and Skoda Octavia RS, but, while those cars are poster boys for their respective marques, the Leon just gets on with what it does quietly and under the radar. A GTD or RS cannot pass by unnoticed, but this Leon can. Yes there are FR identifiers like unique bumpers front and rear, badging, some natty alloys and standard fit LED headlights, but FR is a trim level rather than a specific performance model so you could have a 150hp diesel under the bonnet (the same as is available across the VAG range) rather than the tarmac shredding 184hp version. Inside there are also a pair of FR-branded bucket seats, dual-zone climate control, Bluetooth connectivity and a SEAT 'driving profile' that allows you to toggle between Eco, Normal, Sport and Individual settings. In our keeping it spent most of its time in Sport mode. And that is because it is so much fun to drive. We have said this before but the Leon always 'feels' that little bit more special than its German or Czech counterparts. The handling is a little fizzier, the chassis a little more playful. Without pulling the respective components off each car and comparing them side-by-side we have to assume the Spanish engineers are just a little better at setting up the sport suspension, which comes as part of the FR pack. That or it is a placebo affect - you imagine the SEAT to be better and so it becomes. Whatever the truth, the FR 184 is more engaging than its siblings, able to show a clean pair of heels to the Octavia RS and fall in just behind the GTD, only because the Golf gets the more advanced XDS+ system (that works on both axles rather than just the front like the system fitted to the Leon). But it would take two determined drivers to truly separate them and we suspect the Leon driver will enjoy the pursuit more. It is more than just the XDS system (an electronic 'differential' lock0 that separates the Leon from the Golf; the latter has a nicer interior, with more support from the seat bolsters, a more premium finish and more sound deadening for a more refined drive. The Leon on the other hand is nosier (in both a good and a bad sense) and, crucially, is over €7,000 cheaper. Whereas the Cupra was a cut price GTI, the FR 184 is the thinking man's GTD. With real world fuel consumption of 4.3 litres/100km (65.7mpg) it is almost twice as efficient as that original Cupra, despite packing more of a punch. That, my friends, is progress. 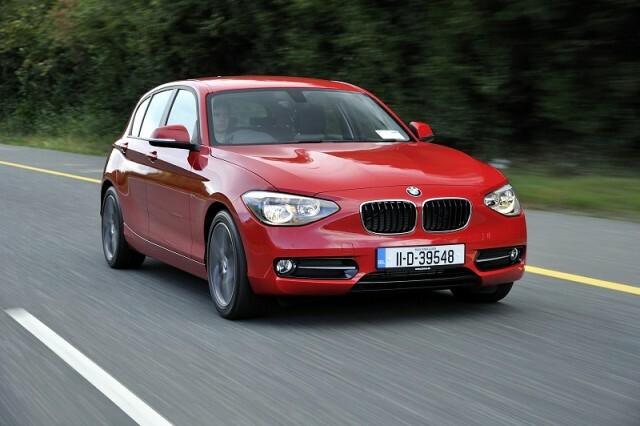 BMW 120d vs. SEAT Leon FR TDI: same power as the Leon, and with a more engaging chassis, but much more expensive. Skoda Octavia RS TDI vs. SEAT Leon FR TDI: same platform, same engine just feels a little bit more grown up. 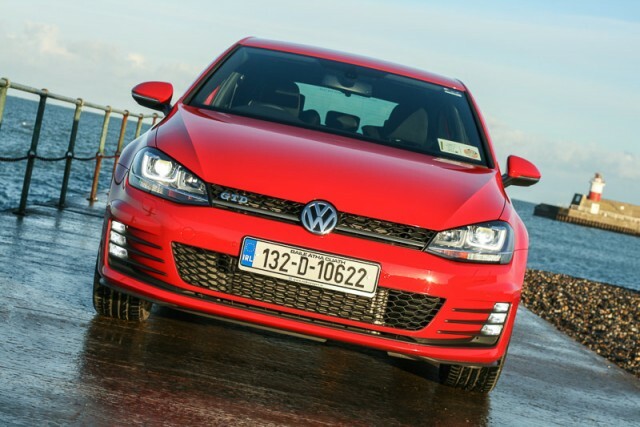 Volkswagen Golf GTD vs. SEAT Leon FR TDI: more advanced XDS+ system gives it the slight edge and has a better fit and finish, but €7,000 more expensive.